Social media posting isn’t just about great content – going viral has very much to do with where and when you post on your social media platforms. 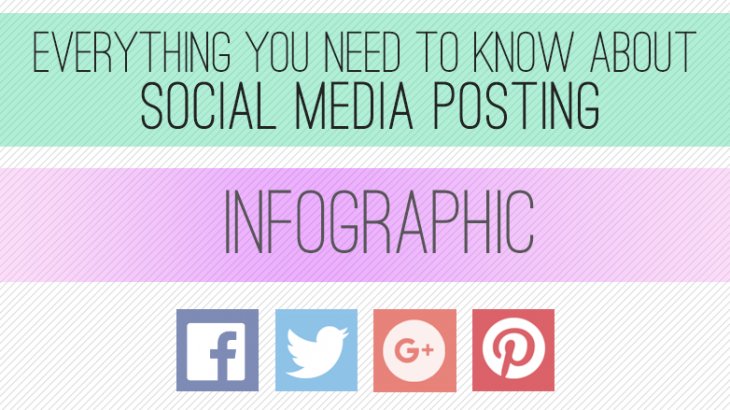 This infographic delves into the best posting times and demographics to get the most out of your posts. A large part of creating viral content is trial and error. While some ideas that your entire team loves might not be accepted as well as you may have hoped, others will have the interwebs buzzing. Unsurprisingly, one of the essential factors in sharing content, when you want it to have the best possible reception, is timing. It’s no good putting your heart and soul into a blog post about the very best prechools in your area, only to post it at 2am when none of the member of your audience (probably exhausted parents) are fast asleep. Each industry is different, so times and preferences are strictly audience related. However the general trends are easy enough to stick to until you know exactly when your audience is online. Generally you want to catch your Facebook users during the afternoon drag during the week. If you’re posting on weekends, make sure it’s not before 8am or after 8pm – because, frankly, everyone would rather be out having fun, (or looking at pictures of their Facebook friends having fun) than read a very relevant, but not very “weekend-y” post about the best office chair for optimal lumbar support or “Why you should invest in property”. Of the women who use social media, about 77% use Facebook – of the men, the total is slightly lower at 66%. The majority of users are between eighteen and twenty-nine and live in suburban areas. Facebook Insights gives you personalised information for your followers – when they are online, which types of posts they like, and so on. Find this information when you’re logged onto a Facebook account with Manager preferences on a particular page and select the “Insights” tab. Quick, to the point, and loads of fun, Twitter feeds are most often checked between 1pm and 3pm on Mondays to Thursdays. Friday, surprisingly, is not a favourite for Twitter users – but if you’re going to post on a Friday make sure it’s not in the dead zone after 3pm. Avoid posting on weekends, and never post before 8am or after 8pm. Of the internet users using social media 24% of men use Twitter, accompanied by 21% of women. These users are more often from the city and are also more often aged between eighteen and twenty-nine. Follerwonk by Moz is an excellent application to anaylse your Twitter followers. Find out when they’re active, what they like, who they follow, and more to fine-tune your posts and give your audience what they’re craving. Google Plus, unlike other social media platforms that have a more underlying social motive, is more often used to find information. Because the platform is integrated with Google Maps, and has a pretty solid reviewing system, Google Plus is often used to suss out restaurants, companies, products, etc. before engaging with them. This informative check usually happens in the mornings before work, or while your users are settling in. You’re unlikely to get much engagement from your audience if you post on weekends, or before 8am and after 3pm. Of people using Google Plus, the majority are men (74% of them). One quarter of Google Plus users are between twenty-five and thirty-four – a slightly older majority than all of the other platforms. Google+ comes ready with Insights that you can find on the relevant Business Page under “Insights”. If you’re going to be pinning, you have a rather limited period to produce a beautiful, engaging flurry of images. Most Pinners are online on Saturday mornings – looking for something beautiful to start the weekend off with a smile – and are very unlikely to be online during the week. (Except perhaps for a sneaky visual extravaganza during their lunch break). Of the internet users who use social media, 42% of women and 13% of men use Pinterest. The majority are aged between eighteen and twenty-nine, and are far more likely to live in rural areas than in the city or the suburbs. Want to know more? Try it out for yourself or get in contact with us! Visit out Facebook, Twitter, Google+, and Pinterest for more tasty titbits. Infographics, Social Media facebook, infographic, pinterest, posting times, social media, twitter google plus. permalink.